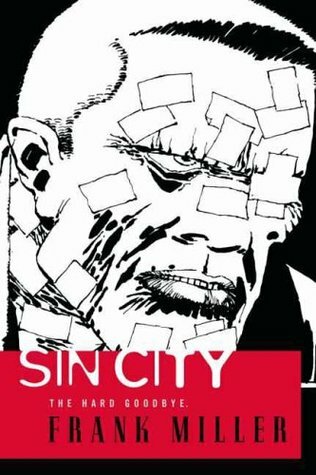 Summary: Marv lives in Sin City, a city that is run by murderers, rapists and the corrupt. He has one amazing night with a woman called Goldie, but when he wakes up she is dead. He swears revenge and goes after her killer. Verdict: Extremely bleak and heart-wrenching. Only read it if you don’t mind visual violence. The first volume of the crime-comic megahit that introduced the now-infamous character Marv and spawned a blockbuster film returns in a newly redesigned edition, with a brand-new cover by Frank Miller – some of his first comics art in years! It’s a lousy room in a lousy part of a lousy town. But Marv doesn’t care. There’s an angel in the room. She says her name is Goldie. A few hours later, Goldie’s dead without a mark on her perfect body, and the cops are coming before anyone but Marv could know she’s been killed. Somebody paid good money for this frame . . .